Miguel Albuquerque addressed the issue of education in the framework of the ‘Education-Sustainable Project for an Autonomous Society’ conference, which was attended by Professor David Justino, former Minister of Education and winner of the Calouste Gulbenkian prize. 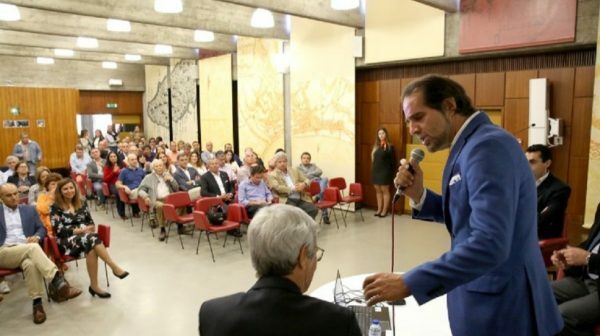 Albuquerque based its position on a statistic: the student retention rate in Madeira fell from 20% to 2%, as a consequence of the implementation of the pilot project ‘Turmas Mais’, which, he recalls, was highly criticized by the left, and ended for proving to be a success. We stayed the course and it was a success. With the project (‘More Classes’) we concentrated the teachers on those students who, in certain subjects, had more difficulty and at the moment we have had very good results “, he assured. “Unlike the left in Lisbon who has been promising full recovery of teachers ‘time and at the moment does not comply, we here in Madeira do not promise anything, but we will proceed to the full payment of the recovery of teachers’ time,” he said. “It was not our promise, but let’s do it,” he added, alluding to the issue of full recovery of teachers’ time of service, with the return to teachers of nine years, four months and two days, related to the period in which careers were frozen. The President also thanked the teachers, staff, students and parents for their commitment.